Creating great website content isn’t as simple as it sounds. Many people assume it’s as easy as choosing a topic and writing out their knowledge – but this isn’t the case. There are a lot of unwritten rules for creating good content. In this post, we’ll talk about some of the dos and don’ts when you’re creating your content. Many people dive right into creating content for their website, and then wonder why they’re not getting much traffic. The answer is simple: keywords. It’s important to do keyword research so that you understand what your audience is searching for online. This lets you create content based around what your potential clients and customers are looking for. The other mistake that brands often make when creating content is stuffing their articles and blog posts full of keywords. In other words, once they’ve found a keyword their potential audience is searching for, they create a piece and use that keyword as many times as possible. The problem is that this is actually harmful to your website. 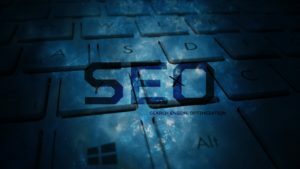 When search engines find that a keyword has been used more than two percent of the time throughout an article, they actually decrease that website’s ranking in their search results. The key is to create valuable content based around a keyword or keywords without using that phrase more than once every 150 words or so. When you’re writing for the web, you want to keep your paragraphs short. Most people are reading on mobile phones, and a longer paragraph can look like a wall of text. For many people, this can cause their attention to wander before they even begin. It’s also helpful to use headings to separate parts of your article so that your readers can find what they’re looking for quickly. Many readers are looking for something specific. Headings help them find the answer to their question quickly and easily. Doing some in-depth research is an excellent way to create a fantastic article for your readers. However, it’s important not to plagiarize. Always hyperlink to your sources, whether within the text or in a reference list at the bottom of your article. Step 5 of the ENDREA Method™ deals with execution – and when we’re talking about content, that means having great SEO practices. This includes having a great headline, optimized headings, and remembering your image tags. One way to ensure that you accomplish all of this is to invest in an SEO suite. This software can connect directly into your blog’s backend to help you make sure all of your content is optimized for the best results. Want to learn more about how you can improve your website to get better results for your business? We can help. The ENDREA Method™ gives you actionable steps that you can follow right now to see immediate results for your business. Or, if you need more personalized help, contact us. We have a team of experts ready to help you expand your business and achieve your dreams.